Mr. Awe demonstrates how to use a forage chopping machine in front of his home (Babati, Tanzania). Madanji Awe holds a recently-picked maize stalk which he has stripped clean of cobs. He places the long, yellowy-green stalk into a forage chopper and pulls the cord to start the motor. After a few attempts, the machine roars to life and shreds the stalk into bite-sized animal feed. Mr. Awe grows maize, beans, cowpeas, vegetables and bananas. But he is most proud of his seven young, zero-grazed dairy cows. He used to let his cows graze freely, but they did not put on weight or produce much milk, especially during the dry season. But with the forage chopper, he is much better able to integrate his animals with his crops. He can better feed them and collect their manure to fertilize his fields. Mr. Awe lives with his wife and four children on a farm measuring just under a hectare near Seloto, a village outside Babati, 170 kilometres southwest of Arusha. Mr. Awe looks after the three forage choppers that were placed on his farm as part of a project called Research In Sustainable Intensification for the Next Generation, or Africa RISING. The project is part of a donor-funded initiative in three districts of central and northern Tanzania that encourages farmers to adopt mixed farming and improved seeds. Farmers who keep both animals and crops use the forage choppers to turn dry, harvested maize stalks into animal fodder to feed their livestock during the dry season. Mrs. Pascal shows her intercropping techniques at the plot behind her home (Babati, Tanzania). Gregory Sikumba is with the International Livestock Research Institute. 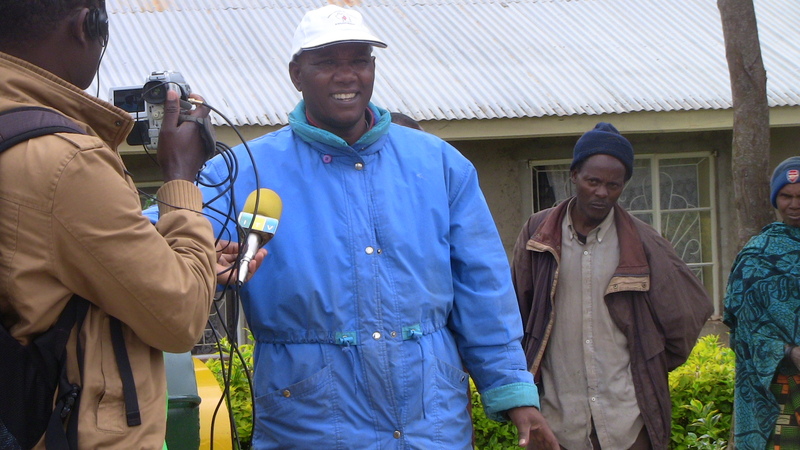 He says that research in Babati district showed that farmers didn’t have enough feed for their livestock. But now that the farmers have access to the forage choppers, this situation is likely to improve. Monica Pascal lives in the neighbouring village of Galapo. She too practices mixed farming. She raises chickens and uses their droppings to fertilize the tomatoes, eggplants and amaranth that she grows on her quarter of a hectare plot. Mrs. Pascal works with a group of 70 farmers. 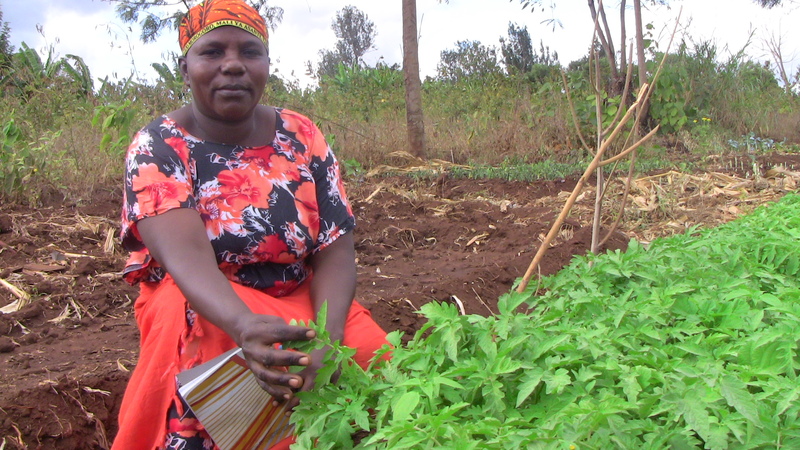 She trains them to intercrop vegetables and fruits and use manure to maximize yields on their small parcels of land. She says that small-scale farmers in the project area are now better equipped to improve their families’ food security and nutrition, as well as generate income. Mr. Awe is pleased that his farm is making a better profit. He uses the extra money to supplement what he earns teaching agricultural science at a local secondary school.